Ger: Greixer, La Devesa de Saga, La Pleta de Saga, Niula and Saga. Ger is a municipality of Cerdanya where nature and tranquillity are combined with all the attractions of the best tourist places. A magical place where forests, rivers, Romanesque churches and craft markets offer visitors a wide range of leisure and entertainment options. 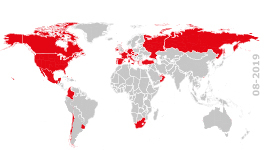 The municipality has an area of ​​33 square kilometres and is situated at an altitude of 1034 meters. It limits to the north with the French Alta Cerdanya, to the east with Guils, Bolvir and Fontanals. To the south, it borders Das and Isòvol and to the west with Meranges. The Molí de Ger, Greixer, La Devesa de Saga, La Pleta de Saga, Niula and Saga are found as added nuclei. The municipality possesses a unique medieval charm. Its churches, its landscapes and its customs make this place a little jewel of Cerdanya that has nothing to envy to the best Swiss valleys. This area of ​​Cerdanya is ideal to disconnect and spend pleasant moments in nature. Cerdanya is a place of contrasts, where an interesting cultural mix is ​​brought together that gives it a part of its unmistakable personality. Half of the region, the easternmost part belongs to Gerona, but the other half, the westernmost is part of Lleida. In addition, half of Cerdanya belongs to France, being a border area, so the essence of this country is also present in certain parts of this place. Ger is a typical Pyrenean village with a unique charm. It offers wonderful views, where the green of nature combines with the blue of the sky to create prints for the best postcards. Ger is an ideal municipality for those who enjoy the mountain scents, with outdoor moments throughout the year and with rural spaces. Its cultural heritage is made up of various constructions that maintain their original charm and convey that charming point that only this type of places have. Thus, the Church of Santa Eugenia de Saga is an impressive construction formed by walls with rows of arches, a pointed vault and a semicircular apse. The front door was built in the 12th century and is made up of five archivolts, two columns and rectangular supports. It has a decoration of great beauty which shows a representation of religious figures. Continuing the tour through the most representative buildings find the Church of Santa Coloma, of which only the ornamental ironwork of the doors remains from its Romanesque period. In the town of Greixer is the church of Sant Climent that maintains the typical geometry of the churches in this area and at its door you can see small carved reliefs with heads that have features similar to those of Adam and Eve. The nature of Ger offers an unbeatable setting for all kinds of walks and hiking trails that will delight all family members. More or less long trails, visiting unique places that allow you to enjoy an activity suitable for all audiences. Among the buildings that can be seen in Ger, you can find a beautiful rural house or a modern chalet with slate roof like those that can be seen in the residential area of La Pleta de Bolvir and Ger, a great area to spend unique seasons or to live a quiet life surrounded by all that nature can offer us. Making reality the dream of living in an area with these characteristics is possible. Consult the Real Estate Agency Engel & Völkers Cerdanya for the available options and start to live life from another point of view, from the angle that a new house and a new life can offer you. Ger is a typical municipality of Cerdanya with wonderful views. It is formed by: Ger village, Greixer, La Devesa de Saga, La Pleta de Saga, Niula and Saga. 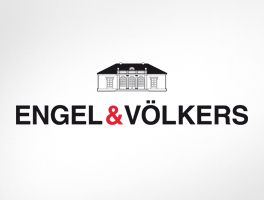 Check with the Real Estate Agency Engel & Völkers Cerdanya if you want to buy or sell a house, apartment or land in Ger.